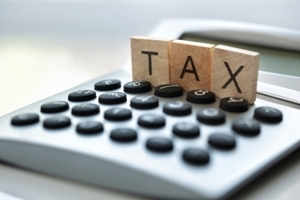 In claiming that rental property is under taxed, evidence was provided through the Tax Working Groups (TWG) background paper, which included a study in marginal effective tax rates between different investments or assets. To their credit, the writer noted that the NZ Property Investors’ Federation disputed this, but then said that our argument was “very arcane”. Not knowing exactly what arcane meant, I looked it up. As it means hard to fathom or mysteriously obscure, I thought I would write this article to demystify our argument for them and the general public. The first point I would like to make is that the NZPIF were very grateful to the Tax Working Group for considering our concerns, taking the time to meet with us and confirming that rental property isn’t undertaxed compared to other assets as their background paper had originally said. Morgan Wallace produced a report showing that there were serious flaws with the TWG’s study, leading them to conclude that apart from bank deposits, rental property is actually taxed at a higher rate than other investments or asset classes. In other words, they treat PIE Funds, superannuation and companies like bank deposits, not only assuming they don’t increase in value, but that they actually lose value due to the effects of inflation. This had the additional affect of amplifying the mistaken assumption. They also mysteriously failed to include share assets. The second issue that the Herald report and Editor raised was that rental property owners have a tax advantage over first home buyers. This was due to Westpac Economist Dominick Stephens claiming that rental property has tax advantages over home buyers and that this has led to a reduction in the rate of home ownership since the early 1990’s. However claiming expenses against taxable income is a tax law that……….